Who Owns Your Brand's Voice? 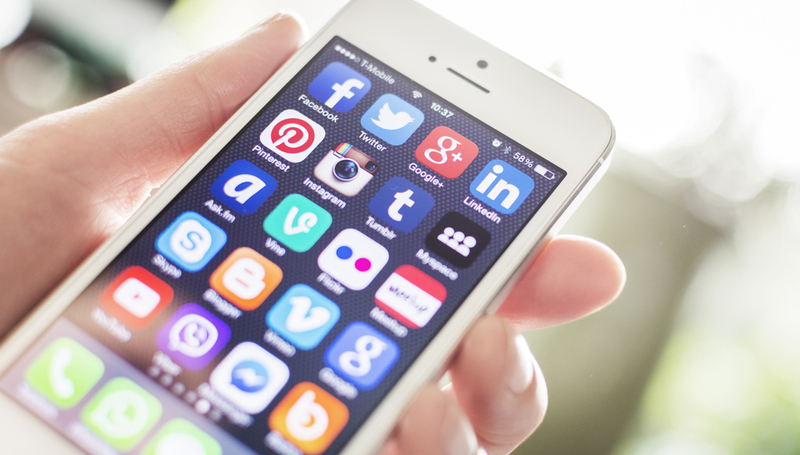 In social media marketing, who owns your brand’s voice? Lisa Roolant is the London-based Lead Strategist for audience.io, a New York and London based audience development company. This post originally appeared on the Percolate blog. Gone are the days when companies contemplated the benefits of engaging in real time, two-way conversations on social media. Even in 2012, 73 percent of Fortune 500 companies were already active on Twitter. The journey toward building a brand that consumers trust is pursued through one steadfast principle: the ultimate humanization of the brand. Today, this journey takes place almost 100 percent on social media. We often forget that behind every tweet, post, pin or hashtag are individuals: professionals crafting a brand’s identity across multiple platforms around the clock. In our increasingly digital lives, we expect to interact with companies and organizations as if we would with another human being— even if we don’t know with whom we’re talking. Social media and digital marketing pros are the purveyors of modern branding, and many are responsible for lifting the corporate veil and communicating directly with customers. From Nike’s persistently punchy tone to Tesla’s mastery of leveraging individuals within the company, we’ve seen countless successful approaches to brands building integrity online. But where does the voice of the person instigating the conversation end, and that of the brand itself begin? Posting to the likes of Twitter, Facebook, Instagram, Pinterest and LinkedIn is swiftly becoming everyone’s responsibility at work. As brands, institutions and individuals continue to casually interact online, is it in a brand’s interest to be more or less transparent about the force behind their online presence? Speaking to social media managers at startups, agencies, cultural organizations and a global news company, we found out what it takes to drive the human voice behind a brand. “Social media is ultimately about a connection between people, and how well brands are willing to work with that philosophy is directly correlated to the effectiveness of their social media strategy,” says Kaye Toal, community manager at toy company Goldieblox, who aim to inspire the next generation of female innovators. “Whether the identity or personality of those behind a brand’s social media shine through depends on the brand itself.” In Toal’s work, that means instigating conversations about female empowerment on behalf of the brand in order to personify them as a thought leader. For an established company like Newsweek, efforts to craft a brand voice far precede the existence of social media— by about eight decades. And given that their product is delivering hard news, there’s a fine line between colloquialism and interfering with journalistic integrity when promoting on social media. Lainna Fader, who has guided Newsweek’s social strategy since the magazine’s February relaunch, realizes this means limiting her own personality. Meanwhile, many brands choose to be ultra-transparent about who is posting on their behalf. Virgin America social media managers, for example, insert their initials into a tweet, much like a byline. At designer fashion label Oscar de la Renta, Oscar PR Girl represents the brand like a sponsored evangelist, engaging on a personal level with her many followers on Twitter, Instagram, and Tumblr. It’s often clear when companies pass their social media responsibilities to the newly hired intern. Companies that delegate their communications for the sake generating buzz run the risk of tarnishing their image, or ending up in a BuzzFeed list post for the wrong reasons. 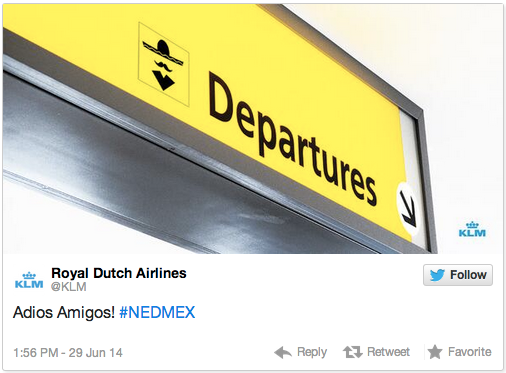 When Royal Dutch Airlines recently sent out a culturally insensitive tweet moments after the Netherlands’ defeat of Mexico in the World Cup, it became a prime example of how a brand’s image can turn sour in seconds. In the race for grabbing the audience’s attention, efforts to stay relevant and personable in real time can go catastrophically wrong. That’s not to say the responsibilities of a social media manager are meant to be too guarded either. Casual conversations by branded accounts are just as easily celebrated in the media, creating viral and ultimately humanizing moments for big brands. So where does the line between anonymity and personality lie? “Unless you personally share the same goals and audience as your organization, it’s better to approach your content from an anonymous angle. Eventually, it might end up being a combination with your own voice as well, depending on the channels,” says Joanna Brenner, social media manager at Pew Research Center’s Internet & American Life Project. Working for an organization that reports data, numbers, and objective information, her everyday challenge is to craft content that’s engaging and shareable without straying from the company’s unbiased mission. Ianthe De Boeck, a social media manager working for Brussels’ leading fine art institution BOZAR, believes social branding should stay anonymous. “Though I live and breathe the brand identity of BOZAR, I find it difficult to see how I could let my own identity intertwine with the one I’m crafting for the Centre of Fine Arts,” she says. As the first ever social media manager to join the team, De Boeck’s greatest challenge was finding a way to balance high culture with commercialism so that it fits in with the colloquial tone of Twitter chat and Instagram contests. As customers turn to social media to address brands, whether for complaints or praise, brand marketing and support teams must learn to share social platforms. And with more than a few cooks in the kitchen, the way in which brands position their social strategies is likely to change. Just as once siloed departments converge on social media, the line between our professional and personal online lives is quickly blurring. While brands have traditionally feared opening up the floor to their employees, not doing so might mean missing out on a massive opportunity. More than ever, individuals are converging professional and personal conversations in their efforts to build and share their personal brands. Rather than shy away from this approach for fear of liabilities, employers should recognise the immense potential in activating their employees as their most direct brand ambassadors. Still, a staggering 48 percent of organizations have done nothing to engage their employees on social, and 75 percent of haven’t received any training on how to use it. There’s a stigma associated with the social media manager (“Your job is to tweet and troll Facebook?”) that hasn’t entirely dissipated. But as the role evolves, the skillset of a social media marketer only continues to grow. In 2013, Indeed.com reported the growth of ‘social media manager’ roles dramatically declined to 50 percent on their job site (compared to over 100 percent in the previous year), though the number of jobs involving the use of social media increased by 89 percent. As the big content machine churns 24/7 and brands master their new roles as digital publishers, social business infiltrates marketing, PR, and customer service departments. 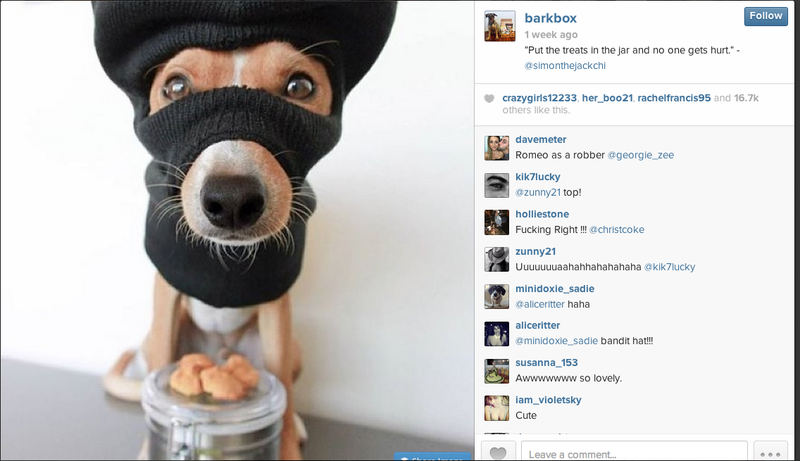 At the content-smart startup BarkBox, social media responsibilities are shared collectively across the organization. The social media professional’s role then becomes less about bringing the brand’s voice to each instant post, and more about cultivating an organization’s social media ecosystem. The job of the social media professional is becoming more integrated with every other company department. It’s becoming increasingly strategic. Increasingly managerial. And increasingly transparent. As employers and employees, we must all learn how to foster and encourage on-brand conversations that begin in the office. After all, a brand is only as powerful as the people in it, and its the collective efforts of individuals that will humanize its social identity.